So here it is my second look: "Colorblock for Fall" that I styled at Americana Manhasset concierge office. Cobalt blue is one of my favorite colors for the coming fall ! Love the coat ! This jacket is awesome! Love this look. Love the outfit, the colorblock combination is amazing! So beautiful! This coat is amazing! adore your shoes!! and you look good in blue! so edgy yet totally wearable, love!!! 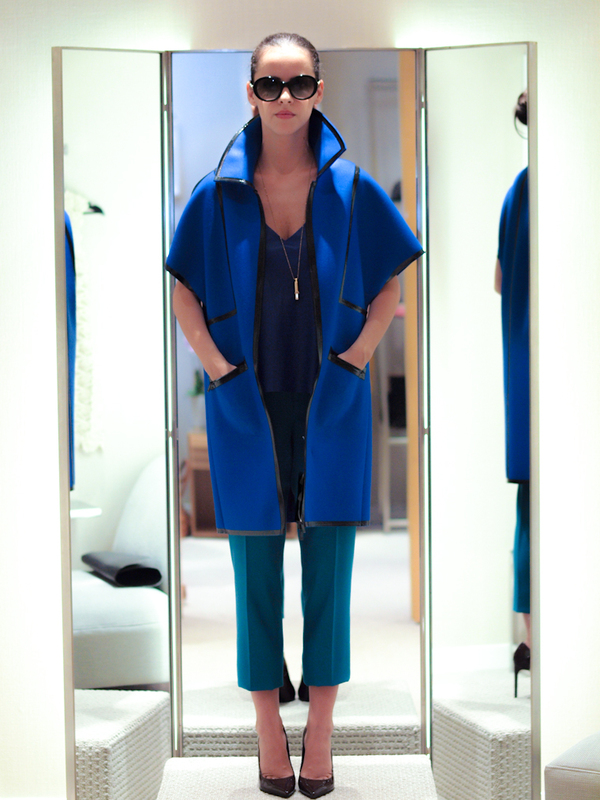 Tonal perfection, I love what you did there, such a sophisticated twist to traditional color blocking!